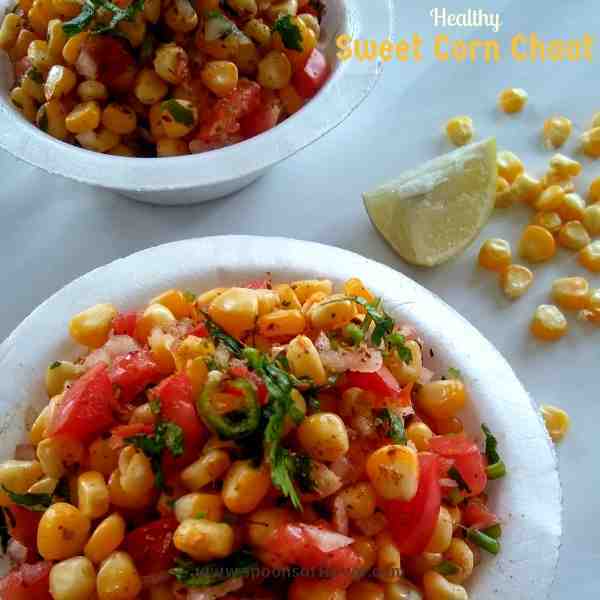 Sweet corn chaat is a quick, healthy and nutritious snack, loved by people of all groups. Chats are always crowd pleasures. But I prefer to make these at home instead of buying from the street side stalls. As we all are very much aware of the unhealthy factor attached to it. Aren’t we? 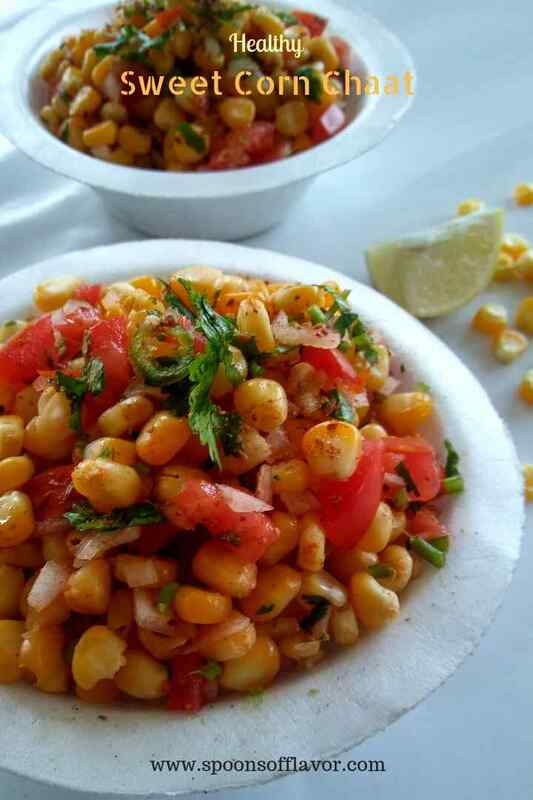 This appetizing recipe is prepared mainly with the goodness of sweet corn kernels, and a melange of some other spices. It can be eaten as an evening snack or an after-school snack. It can also be served on occasions like gettogether or picnic. To enhance the taste sev can be used but it is totally optional. Some more healthy yet delicious recipes you may also check if you like. Boil the sweet corn kernels in a pressure cooker by adding salt and a pinch of turmeric powder and water for 2 whistles over high to medium flame. Let the pressure release on its own. Strain the water and transfer the boiled corns into a large bowl. Add all of the ingredients and mix well. 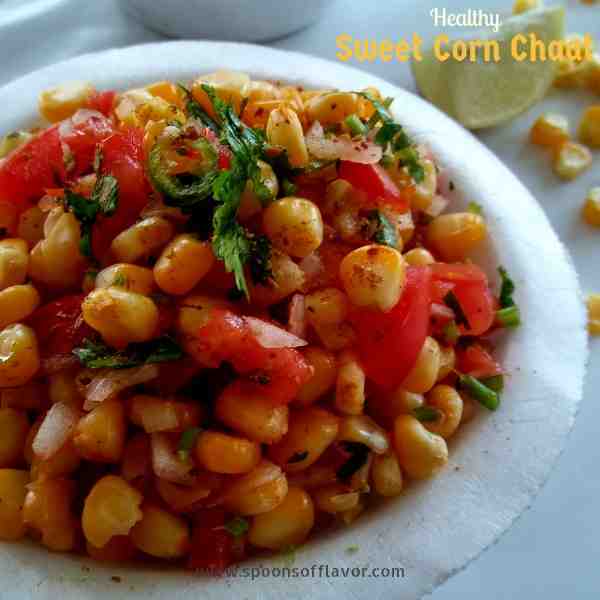 Sweet corn chaat is ready to serve. Serve at once. So colorful, flavorful and yummy!! Delicious share! Healthy and delicious! 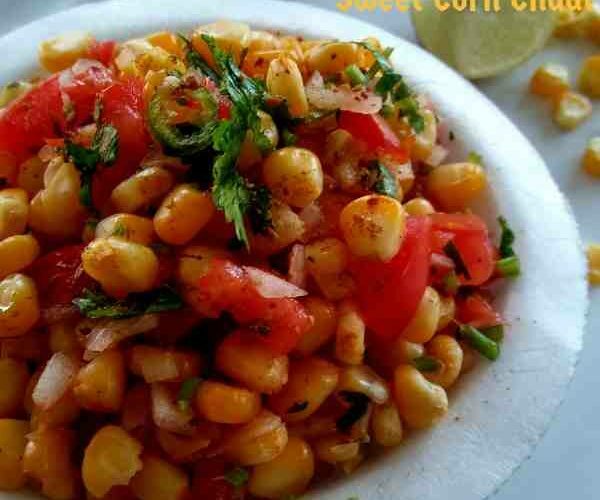 I love such chaat recipe ideas.. so much better than road side chaats where we don't even know what water the corn is boiled in 😮 Definitely saving the recipe for making soon!